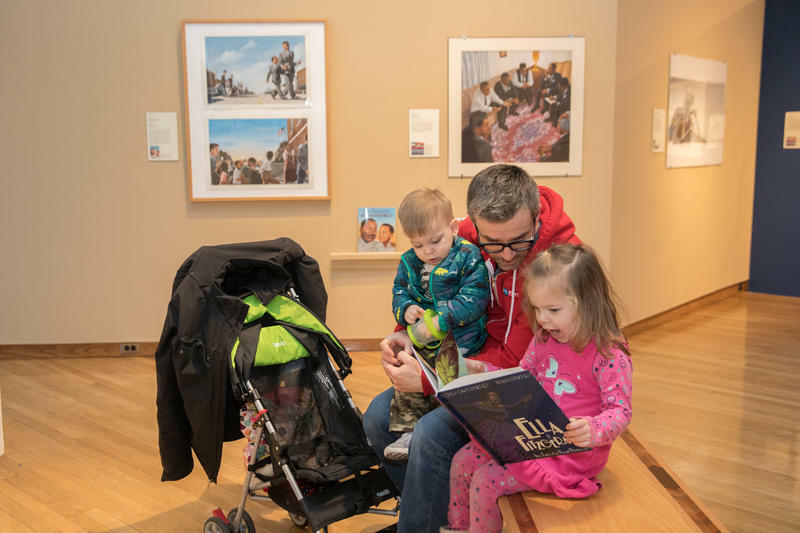 Visitors can take time to read together in the gallery. Illustration by Javaka Steptoe from his book Radiant Child imagining a young Jean Michel Basquiat. Impromptu storytime in the gallery. 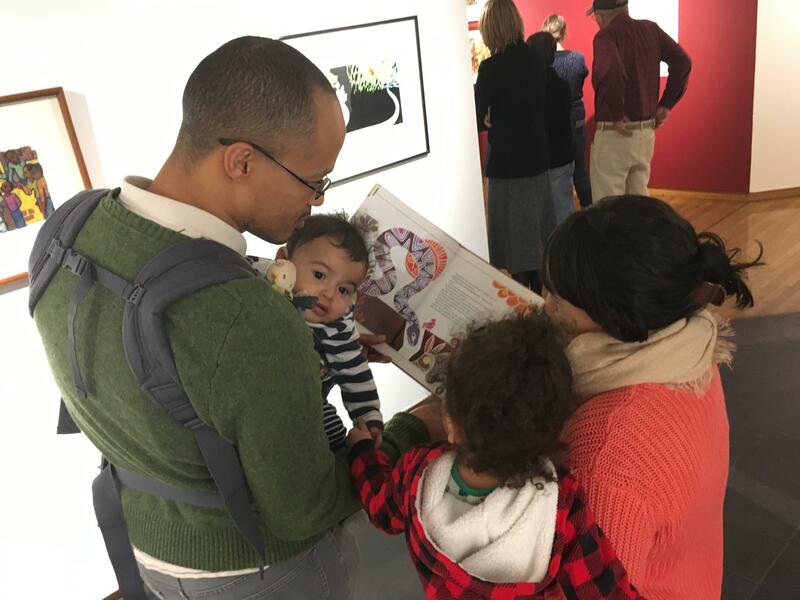 An illustration exhibit now on display at the Miami University Art Museum invites guests to get comfortable and enjoy a good book. 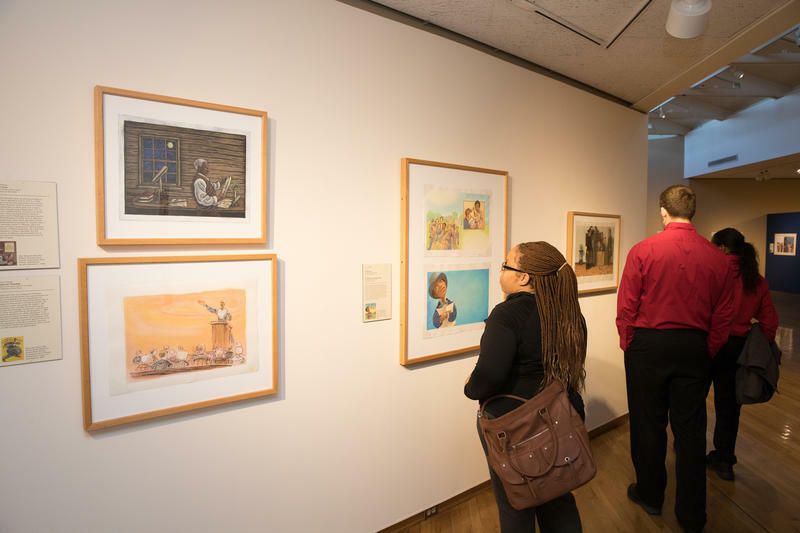 "Telling A People’s Story" is the first major museum exhibition devoted to the art found within the pages of African-American children’s picture books. 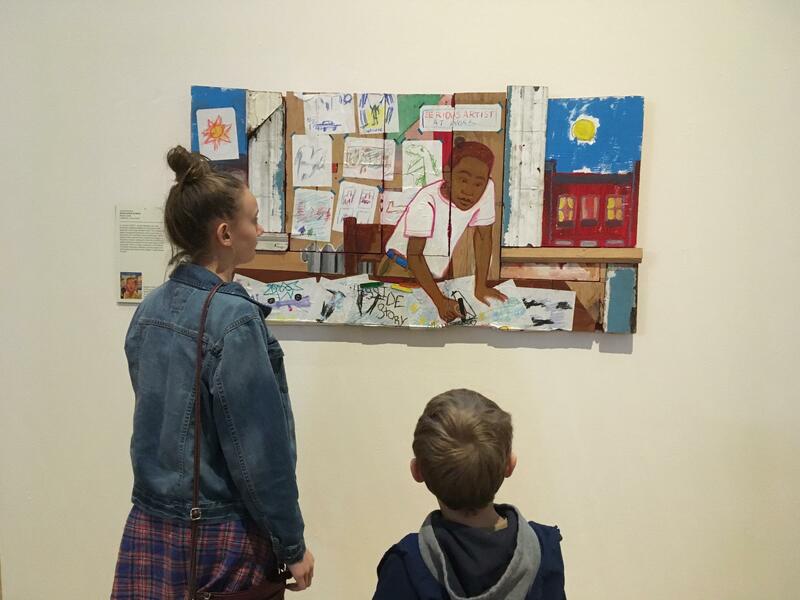 The exhibition features 33 artists, with themes including African origins, slavery, the Harlem Renaissance, and the Civil Rights Movement. 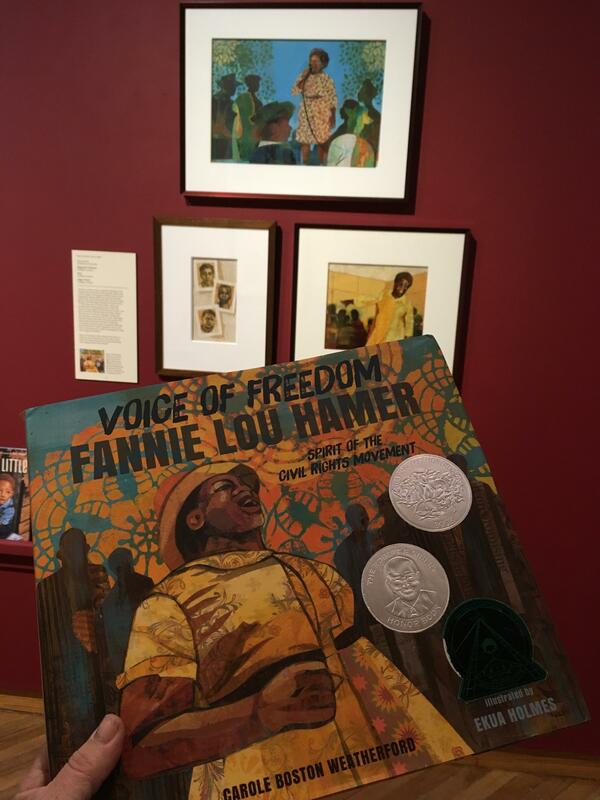 While original illustrations hang on the walls, the associated children's books are also a part of the display for visitors to read. Joining us to discuss the exhibition and upcoming artist talks are Jason Shaiman, curator of exhibitions for the Miami University Art Museum; and Illustrator Ekua Holmes who won the Coretta Scott King Illustrator Award for the 2017 book "Out of Wonder: Poems Celebrating Poets," written by Kwame Alexander with Chris Colderley and Marjory Wentworth. Holmes will be among the illustrators speaking at an upcoming exhibition conference April 20-21. For more information on the conference and upcoming artist talks in conjunction with the exhibit click here.